Why Biometrics is the Future of the IoT Security? In today’s digital landscape every next device is eager to connect to the internet to leverage its possibilities. Modern day smartphones have enormous memory and processing capabilities and computers are more powerful than ever. Since the internet revolution, computing and mobile devices have been designed with connectivity options to connect to the internet and with each other. Internet connectivity has mostly been leveraged by these devices owing to their ability to process data and run applications. It has made whole internet connectivity eco-system shift towards computing and mobile devices. Other equipments, house hold appliances, transportation vehicles were not designed to inherently leverage the power of connectivity. But things seem to be changing now, thanks to big corporations’ focus shifting towards new innovative products with Internet of Things, in which physical devices are also designed with ability to connect and communicate. Internet has mostly been about computers, servers, information systems, mobile devices, networking equipments, etc. Data produced, processed or communicated by these devices claims the most portion of internet bandwidth across the globe. So far data produced by other house hold appliance, vehicles, and equipments were not considered worth capturing by direct connectivity. For example, you may need information like temperature, quantity of food, items required to be replenished, etc., in your refrigerator but unfortunately your traditional refrigerator cannot deliver this information automatically. You may maintain a spreadsheet to keep track all this information, but the information will be captured manually, the fridge is not going to export it to your spreadsheet program or the smartphone app. This is where Internet of Things comes to fill this gap. This connectivity and communication gap is filled by Internet of Things approach. Giving the refrigerator ability to capture data using sensors and transfer it to a target application via the internet connectivity makes the refrigerator good enough to be prefixed with “Smart”. Internet of Things doesn’t limit itself to devices, vehicles or equipments, a building or an entire city can go smart with the help of IoT and information communication technology. Why do we need IoT / smart / connected devices? Connectivity and automation improve efficiency and reduces human intervention, which leads to lesser number of human errors. As most aspects of life gets increasingly dependent on technology, even the crucial ones, it has become important to make these devices smart enough to communicate with each other rather than depending on human intervention. For example, your car should be able to send a low fuel alert to your smartphone so that you can plan beforehand to carry extra time for fuel filling. Low fuel warning will be there on the vehicle dashboard; this information, however, will have more value when conveyed on time. Vehicle being able to communicate to other smart devices can not only send fuel alert but also many other important information like pending service, or a malfunction. IoT is also set to revolutionize healthcare services. Medical application of Internet of Things is also referred to as IoMT (Internet of Medical Things) or healthcare IoT. IoMT is the collection of medical devices and applications that connect to healthcare IT systems through online computer networks. Medical devices equipped with Wi-Fi allow the machine-to-machine communication that is the basis of IoMT. Medical devices and applications communicating with each other can significantly reduce human intervention and monitoring efforts. Remote patient monitoring, smart drug infusion pumps that can send data to analytics dashboard, wearable fitness bands, sensor equipped hospital beds are some of the application of IoMT. The objective of IoMT is to enable medical devices to communicate with each other without human intervention. When health condition of a patient monitored by an IoT system, deteriorates below a threshold, the systems can alert healthcare professionals to intervene. With numerous connected and smart devices being deployed in homes, offices and public places, IoT is on its way to take the world by storm. However, widespread deployment of IoT devices and sensors has to overcome challenges like security, privacy, implementation, Inter-operability standard, connectivity, compatibility, etc. Security is the major concern in IoT ecosystem and it is nothing like usual data breaches or hacking attacks where mostly information is at stack. Hacking of healthcare monitoring systems, drug infusion pumps, power grids, and home appliances can become a nightmare and bring all the smartness instantly down. Implementation of IoT environment can be challenging when it comes to data collection from complex environment. It would require innovative thinking that how sensors should be able to sense environment, collect data and communicate it to the cloud or with other devices. In the above example of a smart refrigerator, sensing the environment inside the refrigerator, different food items in different compartment, optimum temperature for different sections, or sensing items for replenished, can be a complex to implement. Connectivity is another major challenge, current network is good until a limited number of IoT devices are connecting to it, but when the ecosystems grows large and number grows to millions and then billions, current centralize network paradigm will fall insufficient. Decentralization of network and peer-to-peer communication will take over current networking approach. New devices will put additional burden on cloud servers and they will also require expansion, i.e. more investment. For example, deployment of connected self-driving cars and public conveyance in the future will generate a huge amount of data, this data has to be managed automatically and used in analytics and machine learning. And to make it possible, cloud servers should be able to process huge volume of data generated by millions of vehicles. On the other hand, IoT vehicles should be able to connect and communicate with the other devices, which will be challenging in current network infrastructure. Despite multiple challenges, security remains the biggest challenge to the IoT, as a hacking attempt can bring an entire system down. Millions of new devices joining an IoT network with traditional authentication methods pose a great security risk on already vulnerable system. 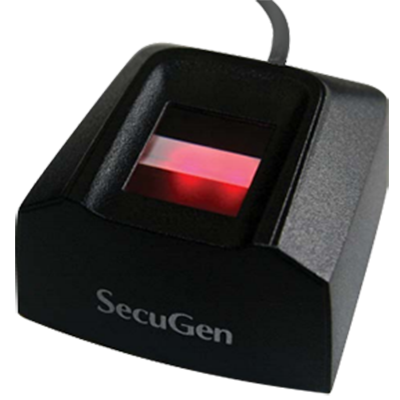 However, use of user biometrics for device authentication can be the solution. Traditional methods like login / password for authentication on a smart node does not actually compliment the IoT technology, not to mention mediocre security offered by the method. When objective is to achieve efficiency with IoT, traditional authentication methods becomes a bottleneck to it. Passwords can be forgotten, guessed or shared, compromising security and exposing the endpoint. It can also compromise security of other IoT devices if same password is used. Combining password with an additional factor of authentication to achieve two factor authentication enhances security, but eliminates convenience and user experience as well. All these shortcomings of traditional authentication methods can be fixed by using biometrics for IoT endpoint authentication. 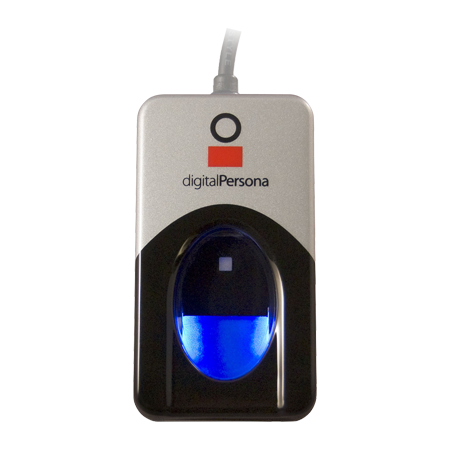 Biometrics makes use of an individual’s physiological and behavioral characteristics like fingerprint patterns, iris patterns, vein pattern, etc., to identify the user. Since these characteristics are unique to an individual, they can be used as a secure method of authentication. Biometric characteristics also do not change with time or age, nor are they easy to replicate or spoof. All these qualities give biometrics an edge over traditional method of identification. 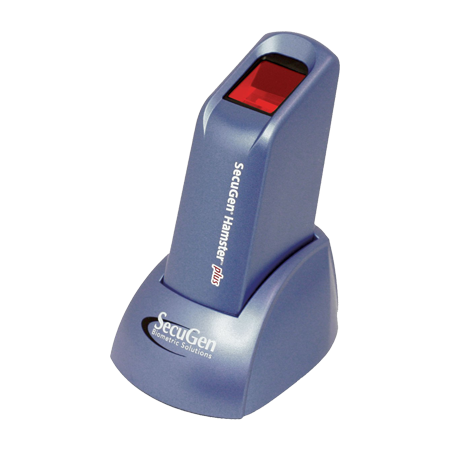 Biometrics eliminates shortcomings of passwords and offers a superior authentication solution. 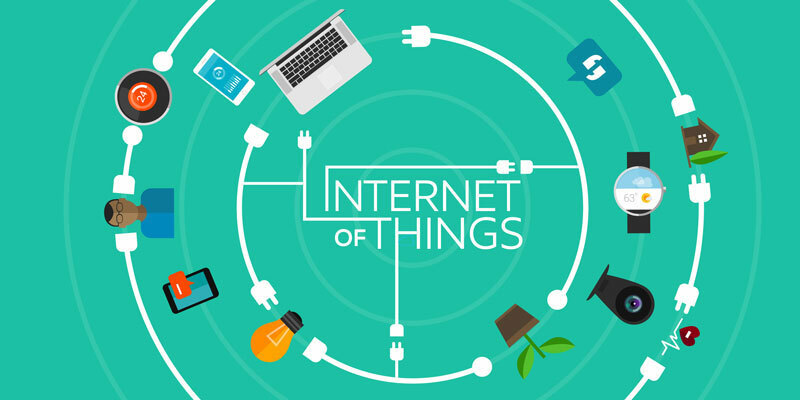 The Internet of Things (IoT) is a concept that involves connecting endpoint devices and physical objects to the Internet. These objects can communicate with other objects to know each other’s status and share data. IoT objects’ ability to communicate with each other eliminates need of human intervention and errors produced because of it. Data generated by IoT objects can be processed and analysed at cloud servers’ end, which can be used in analytics, product enhancement and understanding usage patterns. Connectivity is what makes smart smarter. A smartphone may not stay smart enough if it is unplugged from the internet, virtual assistants cannot understand your questions or serve your orders if it is deprived of internet connectivity, because speech recognition takes place at server end. A smart dashboard of your car cannot leverage real time traffic updates if it is not connected to the internet. IoT is set to take the world by storm. IHS forecasts that the IoT market will grow from an installed base of 15.4 billion devices in 2015 to 30.7 billion devices in 2020 and 75.4 billion in 2025. Time is not far when we will be surrounded by IoT devices and sensors, reading our every move and predicting the next, much like present day predictive typing on smartphones. Smart ACs will automatically turn on by acquiring GPS data out of users’ mobile devices, when they will be driving towards home. Smart refrigerators will automatically alert for replenishment and vehicles will be more aware and interactive. Smart TVs would be able to sync with your phone and tablets to know and put forward favourite TV series. All this convenience and smartness would require next level of security, as unauthorized access would bring a smart device down and compromising other endpoints on the network. Smart healthcare devices can particularly be the target of hacking attempts, which can affect operations of an entire healthcare facility and pose threat to patients’ lives. Approaches used for user authentication in the past are inadequate in the IoT era. Biometric authentication can offer a seamless authentication experience without compromising user experience. Traditional methods of authentication neither offer adequate security nor they are easy to use, while biometrics proposes both. 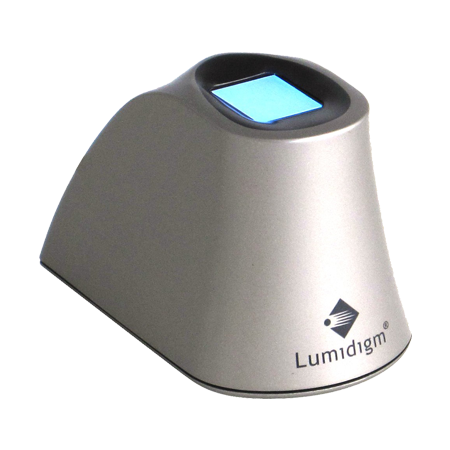 Biometrics indeed offers smart security for smart devices, doesn’t it?